Tinkers, by Paul Harding, is a novel that projects from the mind of George Washington Crosby, a dying man. The events of his harried life are replayed, as he lay dying on a hospital bed in his living room, surrounded by various family members. His one wish, before dying, is to be able to recollect memories of his epileptic father, to be able to “see” him one last time. Within the flashbacks to George’s childhood, events are told with the precision of a clock, as George is a clock maker and repairer. In fact, the walls of his house are lined with clocks, and time is ticking away for him. Memories arise and fade, and the clocks tick the seconds away and chime away the hours. Within his own memories, whether accurate or due to his unstable and hallucinatory mind, as his life is ending, characters weave in and out of his life, and the reader is given privy to their thoughts and feelings. Howard Aaron Crosby, George’s father is a salesman driving a cart out into the rural areas to sell wares. He disappeared, after having a Gran Mal seizure. His mother feels trapped in her role and feels life has given her a bad turn. Her four children cause her problems, and feels that ending her life would solve them. Both of George’s parents are trapped within their mental state. Familial dynamics are an integral part of the whole, within the pages. The novel looks at life and death, love and loss, and the events in between that cause one to formulate their own lives. George has never quite gotten over the loss of his father, and in his last days and hours focuses on him. His dreams and hallucinations are disjointed at times, and are often difficult to follow. That does not diminish Harding’s writing style or story line, in my opinion. George’s transcendence to death is filled with disconnected thoughts and visions. I would imagine that is a normal process for those in the throes of their last moments. 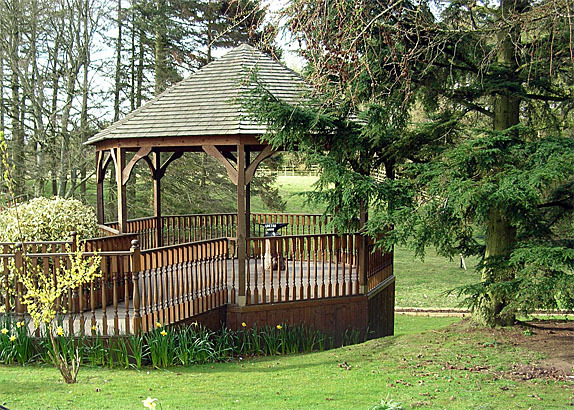 Harding definitely has a way with evoking vivid images. At times the grammar and the grammatical style and structure are not consistent, but for me, it reinforces the state of mind of the dying. His word-paintings are so alive with descriptions and emotions. His prose is masterful and often verges on poetic loveliness. Paul Harding captivated me from the first page, and I read Tinkers straight through. 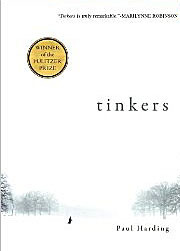 Tinkers is a unique novel, in the sense of what defines a family and what defines a tinker. A tinker can also be one who plays and replays moments in time, within the framework of his/her mind, tinkering with the past so to speak. The Sunday Book Review of the NY Times has some interesting food for thought. The L.A. Times offers a splendid book review of And The Mountains Echoed, by Khaled Hosseini. Visit here, to read a review of The Woman Upstairs, by Nora Eldridge. See the latest best sellers. NPR Books gives us several reviews to ponder. Hoping your week is bookalicious. The Jump Artist, by Austin Ratner, is a novel that studies the relationship between a father and son, and the psychological impacts of that relationship and how it directed the emotional and life-altering course of the son. Max, the father was a powerful force in his son, Philipp Halsman’s life, and often energetic, bordering on overpowering, in his quests and activities. He saw himself as able to perform any task, and no matter how strenuous, he never failed to exhibit his dominance and strength. And, exhibit he did, to a fault, proceeding to conquer even when his physical impairment should have quelled his goal. Philipp, a 22-year old Latvian Jew, on the other hand, was diminished in his father’s presence (Philipp Halsman is not a fictional character, but is a factual person). He had no ambition to compete on his father’s level, and no motivation to drive him forward. Throughout the pages, he evokes a sense of detachment from his father, and a bond that is less than strong or close. One day while out hiking in Austria, Max fell off a cliff and died. Philipp looked away for one quick instance, and when he looked back, his father was gone. From there the story line becomes more morose. Philipp is accused of murdering his father and taken to jail. He is found guilty of murder, and the reader surmises (at least this reader did), that he did not kill his father, from the way the story line is written. The prison scenes are extremely layered with graphic imagery, and Ratner’s masterful writing is stark and straight forward. Nothing is left to the imagination. The inhumane treatment is apparent, and Philipp’s depressive state is fostered within the disgusting prison conditions. While in jail Philipp becomes a tortured soul, unable to fathom why nobody believes him. He is unable to cope with his detention under the circumstances surrounding the fact that nobody believes him, and everyone is against him. His only saving soul is his lawyer, who defends him to the best of his ability, under the extreme and the microscopic efforts of the prosecution. Within the pages the reader is given vivid portrayals of a man depressed, a man racked with guilt, not the guilt of a murderer, but the guilt of burdens he has bared, and the guilt of a man who is in a constant state of self-hate. His only allies are his attorney, his mother, Freud and Einstein. They rally behind him, and Freud and Einstein vouch for him and use their status to help him gain a pardon. Once out of prison, he realizes he must move to another country in order to start life anew. Also, the fact that war is imminent plays a large factor in his decision to relocate to France, where he is welcomed, where he feels at home, and where he believes he will be harbored. Within his new environment his efforts at portrait photography are enhanced, and he becomes known for his work. Living in France does not last long, and Philipp eventually moves to America. In America his photography flourishes, it becomes his life, his reason for living. He photographs famous celebrities, including Marilyn Monroe. His signature becomes the fact that he photographs his subjects as they jump, therefore, he is known as a “Jump Artist”. His life takes on new meaning, yet his detachment to humanity is still obvious. Ratner is brilliant in his writing, and in his portrayal of the human condition, both in prison and in society, as antisemitism rears its ugliness. If this were today, I doubt that Philipp would have been convicted, even through all the discrimination inflicted upon him. There was no conclusive evidence, and the few witnesses that were present used drama tactics to infuse the court’s decision. For those looking for an intense read, this book is for you. It is not a quick read, not a light read, but a dark and compelling read. Phillip Halsman’s life is the basis for the novel, and Ratman used his life history loosely in portraying the man and his thoughts and feeligns. I applaud Austin Ratner for his brilliant writing, and for bringing to light the circumstances surrounding a man who was wrought with burdens, and a man who overcame some of them, and went on to become a well-known photographer. 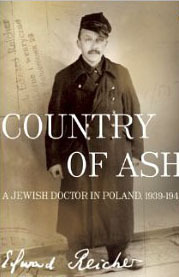 Country of Ash: A Jewish Doctor in Poland, by Edward Reicher, is a compelling memoir, and one that speaks forthrightly about the Holocaust and how it affected Reicher and his family. The horrific incidents and events that took place between 1939-1945 are depicted with candor, leaving no detail undisclosed. From the Lodz ghetto to the Warsaw ghetto and all locations in between, Reicher writes about the horrors of the Jewish ghetto life, the inhumanities that the Jewish population faced and had to deal with, and the agonizing moments of family separation. At one point he had to make a choice between his severely ill father in his house, and his wife and child back home. He chose to stay with his father, because he felt he would not be able to go on without him. He felt that his family would be able to survive, and prayed he made the right decision. Being a doctor who specialized in skin disorders, he was forced to treat the Germans. which he did. He was not given special privilege for his efforts. He literally saved Germans from the agony of skin diseases, including syphilis and gonorrhea. He did so out of duty as a doctor. He also treated other Jews who ended up turning on him, and did nothing to help him. He eventually was able to hide on the Aryan side of Warsaw, disguised and running from place to place. He witnessed a lot of abusive actions and witnessed Jews being murdered. He, himself, suffered abuse, but he writes about that in a minor fashion compared to what other Jews endured. Reicher had interactions with Chaim Rumkowski, a man that he described as a madman, and a self-appointed “King of the Jews”. He courageously testified against Hermann Hofle, and how he helped send hundreds of thousands of Jews to their deaths in Poland. He survived the Holocaust, along with his wife and daughter. His daughter, Elisabeth translated her father’s book to French from Polish, and now, it has been translated to English by Magda Bogin. Country of Ash is intense, graphic with its depictions, and a brilliantly written account of one man’s environment and interactions during the Holocaust. It is written without flourish or exaggeration, but written as Reicher witnessed events, and as he found himself involved in the many crossroads of decision and action. Country of Ash is not only a tribute to Reicher’s strength, determination, and fortitude, but a tribute to all of the Jewish victims of the Holocaust. It is a tribute to those who were not Jewish, yet did strive to offer a place to hide and offer food to Edward Reicher and/or his family. It is a memoir that honors his daughter, Elisabeth Bizouard-Reicher’s determination to see her father’s memoir in print for all the world to read the horrors and inhumanities suffered by the Polish Jews. Khaled Hosseini’s upcoming book, And The Mountains Echoed, is due to be released on May 21st. I can’t wait until it is released. I read his first novel, The Kite Runner, and had bought it the day it came out. I also read A Thousand Splendid Suns, and reviewed it on my blog. Below is a brief review of The Kite Runner. You will fly to new heights of emotion while reading Khaled Hosseini’s novel, The Kite Runner, about one man’s journey to find himself, to redeem and transform himself, to forgive himself, and to forgive his familial past, forgive his own betrayals and failings, in order to go forward with his future. Amir returns to his homeland after the ravages of war, after the Taliban has gained control, after the country has struggled to survive over adversity. The memories of his childhood choices that have haunted him, and that have imprisoned him within his Self, come to surface in overwhelming ways, as he remembers his friendship with Hassan, their boyhood adventures, and his betrayal to the Hassan, who would in the end, allow him (Amir) to forgive himself and redeem himself. We are given intimate perspectives of life and emotions, thoughts and feelings. As Amir walks the paths of his past, remorse and guilt flood his very being. He is overwhelmed by the past meeting him in the present. The Kite Runner is also an excellent character study on family, friendship and relationships intertwining within the familial structure. An overbearing father, a motherless son, a friend who is basically his unequal, in societal eyes, all come together in a blend of excellence through Hosseini’s gifted writing skills. Khaled Hosseini gives us glimpses into the Middle East and the cultural mores and expectancies, that we might not have imagined could exist. Applause, applause, for this insightful and intimate view of childhood, adulthood, and the lives we weave for ourselves. I highly recommend The Kite Runner! I have been busy reading. I don’t normally read a book in this genre, but from the first page I was caught in the story’s grip. 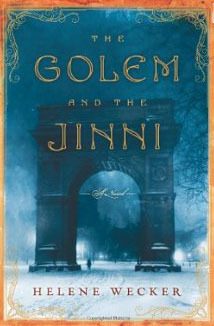 I finished a 496-page book…The Golem and the Jinni, by Helene Wecker. It was quite the extraordinary effort by her, and for a first novel, I thought it was extremely well-written. It is a story, as the title states, about a golem and a jinni. It is a combination of historical fiction, fantasy, superstition, and so much more. The golem is a clay creature in female form that was created for a man who is a withdrawn person, and can not seem to find a wife, a woman who wants to be married to him. He decides to have her created to specific specifications. He takes the golem with him, when he departs for New York City from Europe. Her “master” dies on the ship, and she disembarks in New York City. She meets a Rabbi, who takes her in, knowing she is of the earth. She begins her “life” with Jewish roots. The Jinni has managed to escape out of the lamp he has been held in for over one thousand years, due to a tinsmith breaking the seal. He is a jinni that has been imprisoned within the walls of the lamp, and comes out in human form in New York City. His origins are Arabian Syria, and through fire as his force, he must stay away from water, especially rivers and rain. The two of them eventually meet, and begin an unusual friendship. Their relationship develops, each one a stranger, and immigrant in a new land. Each one not actually human, yet each one takes on human qualities. The story envelops Arabs, Muslims and Jews within the pages, not in a conflicting manner, but in acceptance of each other and their cultures. The communities of Little Syria and the Jewish sector, blend together, and the reader is given scenes of life, not only in the two communities within New York City, but of 1898 New York City just before the turn of the century. The writing by Wecker is fantastic. The fact that the Golem (Chava), and the Jinni (Ahmad) are basically immigrants learning to assimilate and cope with every day living in realms they don’t understand is not a new concept, in reality. But, within the fact that they are not human, not only do they have to try to blend in within their environment, but also have to try to appear to be human, with human mannerisms, actions, and qualities. Chava is bright and clever, always aware and cognizant. Jinni is mocking and arrogant, yet still trapped in human form. Chava is constantly watching and learning, trying to adapt. She is sensitive, and trusting, trying to find independence. Within that sphere, she must always remind herself not to show her strength. Jinni must be cautious of his warmth, his sexual desires, his inability to feel emotions or understand others. He is self-absorbed. There are other characters that play into the story line. From the Rabbi to the bakery owners, the tinsmith who lets Ahmad work in his shop to the ice cream man, people come and go within the pages, but all are integral to the story line. Cultural barriers are opened, and acceptance is gained by one community for the other. There are back stories, as the novel jumps back and forward in time, but not in a manner that the reader can’t keep up with. The back stories are as important as the current time period. Wecker is masterful in her descriptions of New York City at the end of the 19th century. Her ability to illuminate the streets filled with carts, horses, trolleys, architecture, people from all over the world, shops, and daily life is impeccable. She captures the very essence of olde New York City. The reader can visualize her portraits, inhale the aromas, hear the noises, and feel the essence of city life on a daily basis. Her minute details breathe life into each sentence, each page. The supernatural, magical creatures, superstitions, Kabbalah all combine in one incredible novel. Some of it lends the reader to suspend their non-belief, but that is the beauty of the story that Weckler has written. One can become so wrapped up in the characters and their journeys, that they can feel they are a part of the whole. The human condition and efforts to survive in an unknown land is brilliantly brought to the forefront with sensitivity and clarity. Many questions were brought to my mind: Is it worth the effort to try to overcome the challenges of cultural mores and realities? What is freedom? What is enslavement? Are we really slaves to our environment, or a slave to a former world? Are we product of old and new? What is assimilation, and does it require mimicking those around us, or letting others manipulate us into what they want us to be? These and so many more questions were food for thought. Within the pages of this fantasy and adventure story we see life through the eyes of those who are trying to find themselves within a strange, and sometimes hostile environment. Life is depicted in all of its beauty and ugliness, with the positives and the negatives. New York City is illuminated through vivid word-imagery, people and their personalities are excellently depicted. Cultural mores are drawn together, showing the similarities within both the Syrian community and the Jewish community. Each culture wants the same for their own kind. The human situation and all it encompasses are woven within the tapestry of the pages within The Golem and the Jinni. I enjoyed each page, each line, and didn’t want the book to end. That is saying a lot, from a reader who is not really one who normally reads a book in this genre. Helene Wecker is masterful, in my opinion, in her ability to hold my attention. I recommend The Golem and the Jinni! 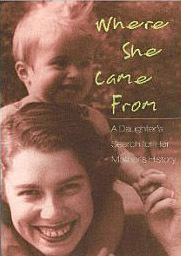 Where She Came From: A Daughter’s Search for Her Mother’s History, by Helen Epstein is an extremely compelling memoir. We journey with Helen Epstein as she searches for her familial past, and searches for answers regarding her family members who were murdered during the Holocaust. The book was difficult to put down, once I started to read it. I was engrossed in this book from the first page…although it was a slow read for me, because I wanted to grasp the intensity of the generational saga, and grasp the historical facts, correctly. 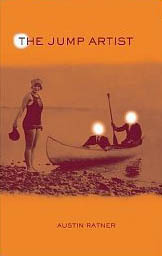 Epstein has more than proved herself as a writer in this dramatic memoir of family generations, identity, and history. We journey with her through time, through the positive and negative aspects, through the good and not so good, through the hardships and adversity. The reader is given remnants of life in a familial tapestry, through history, through the horrors of war, and how it affects all the generations, from past to present, and also how it can and will affect future generations. From assimilating into society and racial and religious identity, to how one views themselves and what they identify with, Where She Came From is written with insight, often brutal in Epstein’s vivid descriptions. She writes with love, with yearning and the emotions of loss, she writes with clarity. Where She Came From is an extremely inspiring book. How does one start over after enduring such atrocities and horrors? Is there laughter in your life, once again? How does the past affect the present? Does God exist? These are just a few of the questions Where She Came From leaves the reader to ponder, and Epstein pondered those issues and questions, and many more. She manages to weave a tapestry of her family, each moment in time adds to the fabric of her own identity, as she comes closer to some of her ancestral answers. We laugh with her, and cry with her, and we are inspired by Where She Came From. Successive generations live with the past every day of their lives…it seems inevitable, and Epstein reinforces that theory through her writing. Epstein’s writing draws us in, and her memoir is intriguing, insightful and concise, but mainly it is extremely inspiring. In my opinion it is a must read for everyone, as its educational value is priceless. Where She Came From is both compelling as a memoir and as a historical book. It is an incredible resource for schools, colleges, universities, and anyone who wants to gain a better understanding of life before, during and after the Holocaust. I applaud Helen Epstein for such an exceptional read!